Let's start with the basics - ergonomics, safety, reliability, ease, performance. You get it all with the Flexar LC. The elegant user interface is streamlined to improve throughput and optimize operator safety. And Flexar simplifies your process so you can focus on your application. 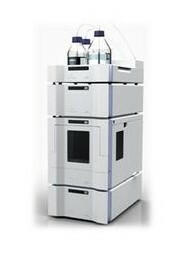 It's the HPLC system you'll count on day after day. There are no threads in PerkinElmer Flexar Reviews at this time.